If you’re looking for a way to gamble without leaving your home, you may have considered indulging in online casinos. While online casinos may seem temping, it may be hard to choose which casinos are trustworthy to experience with. After researching several casinos, I’ve discovered one that is trustworthy: Yako Casino. In my opinion, Yako Casino is an exceptional website for most people’s gambling needs. If you are still on the fence about using Yako Casino, I will list the company’s pros and cons below. Hopefully after reading my thoughts, you’ll be able to make an informed decision. Yako Casino was founded in 2015. The company is based out of the United Kingdom. Yako Casino provides casino gaming services in five different languages: English, Finnish, German, Norwegian, and Swedish. The company’s official website is Yakocasino.com. In order to enter Yako Casino’s website, all users must be over the age of 18. 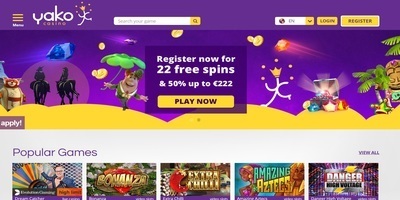 The Company is licensed by Malta Gaming Authority and the UK Gambling Commission. Yako Casino accepts all major credit cards, but does not accept PayPal. Yako Casino is only accessible in certain parts of the nation. If you live in the United Kingdom, you can easily create an account and begin gambling immediately. If you live in the United States, you will not be able to use Yako Casino. Luckily, Yako Casino has affiliate websites that can be used by citizens of other countries. If you want access to Yako Casino’s affiliate casinos, visit their website for more information. Yako Casino makes it easy for their customers to use their website. 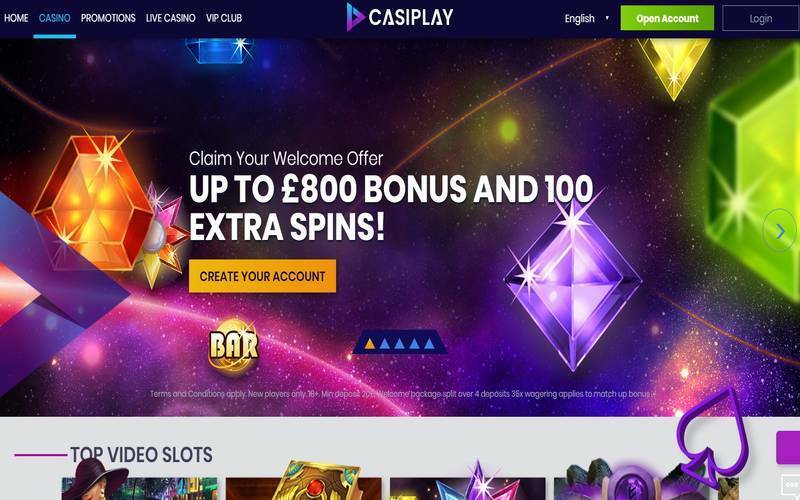 This casino allow customers to gamble using their website and their mobile application as well. Additionally, Yako Casino provides their customers with online live chats; these chats assist customers with technical support, questions, or concerns during business hours. Furthermore, the website has 316 slots available on their website. However, if you choose to play on your mobile device, you will have access to 250 mobile slots. Lastly, Yako Casino has 70 live dealer games available to their customers. Yako Caisno uses several gaming software platforms. Some platforms used by the company are Netent, Lender Games, Amatic, and Microgaming. In order to begin playing, Yako Casino requires a deposit of $10. The company accepts deposits through bank wire transfer, Entropay, Maestro, Neteller, Paysafecard, Skrill, Entercash, Visa, MasterCard, and Bitcoin. If you win a game after playing on Yako Casino’s website, your profit could pend for 24 hours before you’re able to transfer the funds. As a Yako Casino customer, you won’t have any withdrawal limits. As an incentive to their customers, the company provides all new customers with a 50% off sign up bonus. This 50% sign up bonus will be applied to new customer’s first online deposit. Yako Casino is a great casino to use, if you are a citizen who lives in the United Kingdom. Yako Casino provides great customer service to all customers. The casino’s employees are available via live chat during casino hours, which is very convenient. Yako Casino also provides customers with diversity. In all, the company offers customers with access to more than 500 games to choose from. Yako Casino definitely has my approval for any online gambling! You should certainly try gaming with Yako Casino, if you’re a citizen of the United Kingdom! 1. Winnings from free spins are granted as bonus money. Unless otherwise specified, the wagering requirements for free spins winnings is set at 40x the received value. 2. The bonus won as a result of played free spins needs to be wagered within 48 hours before the bonus is automatically forfeit. 3. Similar to a no deposit bonus, players who receive a free spins bonus and who have not yet completed a deposit successfully can request a withdrawal of at least $/£/€/CHF 40, 400 kr or R400. 4. Similar to a no deposit bonus, players who receive a free spins bonus and who have not yet completed a deposit successfully can request a maximum withdrawal of $/£/€/CHF 100, 1 000 kr or R1,000 When players who have not completed a successful deposit and who receive a no deposit bonus a maximum withdrawal of $/£/€/CHF 100, 1 000 kr, R1,000 applies and any excess winnings will be removed from the player's account.